The setting sun casts a golden glow on the low walls of the ruined nave of Bordesley Abbey. 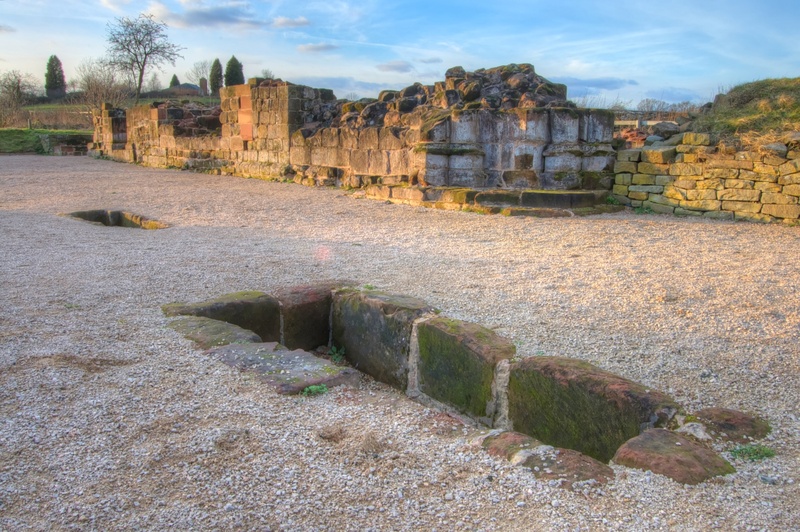 If you are thinking that those two stone lined pits are graves, you would be correct. I’m not sure who was buried there, but I have seen people lie down in them for a laugh. Too much like tempting fate for my liking. They are also quite small and cramped spaces. Less than half an hour before the sun set, I decided this was another HDR image as I wanted to capture detail in both the well lit sky and the graves in shadow.